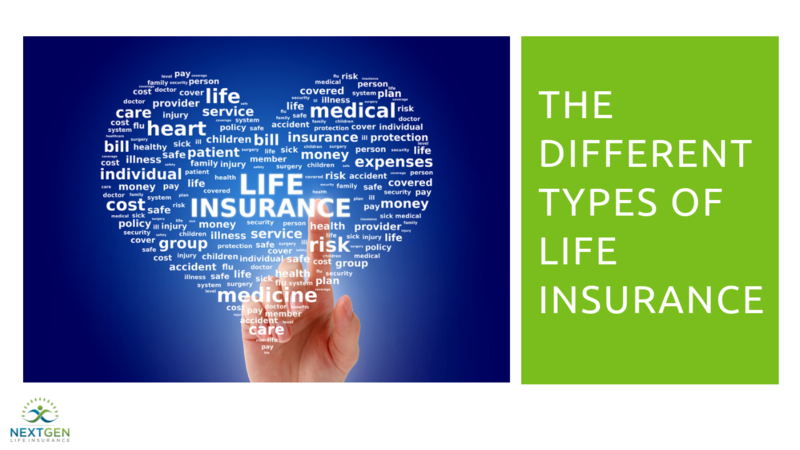 Looking to learn more about the different types of life insurance policies out there? Well, you’ve come to the right place. Like most people, you want to enjoy doing everything you can in this life but also be protected in case something were to happen. For that protection, most of us turn to life insurance. While you might know you need it, you might not know about the different types of life insurance policies and which one is best suited for you. Think of it like you’re ordering food. You have many options and you have to choose the one you think you’ll like best. It’s the same with your life insurance; you’ll have many choices to choose from but you need to learn more about each one to know which is best suited for you and your family. This article will give you more information about the different types of life insurance policies, their benefits and how they can help protect you and your loved ones. For more information, be sure to check out our Life Insurance Guide. There are a lot of different types of life insurance policies in the market right now. The two basics are term and whole/permanent life insurance. However, you need to be aware of the subcategories under the basic types. Let’s break it down for you to better help you in customizing the coverage to meet your needs. Also known as pure life insurance, it guarantees your beneficiaries of a death benefit within a specified term. Once it expires, you can either renew, convert it to permanent coverage or allow the policy to terminate. So, if you pass away within the policy term, the insurer will pay your beneficiaries the death benefit. Should the term expire before your death, there’ll be no payout. However, you can always renew a term policy after it expires. Keep in mind, though, that there will be a recalculation of the premium. A term life policy has no value other than the guaranteed death benefit. The purpose of this policy is to give insurance to individuals against the loss of their life. Hence, making the term life premium much lower than that of permanent policies and most suitable by far for the majority of people. Term life insurance is perfect for young couples with children since the parents can get a large amount of coverage for a reasonable cost. Upon the unfortunate death of a parent, this benefit can help replace that spouse’s lost income or provide for childcare. Term insurance is also suited for those who are in temporary need of a specific amount of life insurance. Again, term life insurance is all that’s needed for most people. Be sure to get a free quote on cheapest term life insurance through our quote engine. There are a few other factors involved, but these are by far the most important. The younger and healthier you are, the lower the premium you’ll pay. So, if you don’t have a time machine to go back to your younger self, your next best option to ensure the lowest premium possible is to make sure you keep yourself healthy. Level Term. This policy provides coverage for a specified period ranging from 10 to 30 years with a fixed death benefit and premium. Under the level term, the annual premium and death benefit are fixed, making it one of the simplest forms of life insurance and certainly the most popular. Decreasing Term. For this type, the death benefit will decrease annually or at other specified times during your lifetime with the annual premium remaining constant throughout. It is the cheapest option for life coverage because of the decreasing benefit. Increasing Term. Under this term, the overall death benefit of the policy increases over time. It is generally in line with the agreed index, such as the Consumer Price Index or at a determined fixed percentage. The increasing term is designed to provide a solution to the problem of inflation. On the downside, since the value of the death benefit goes up, the premium also increases, making it more expensive over time. While there are a few other types of term life insurance policies, these are by far the most popular. Simple enough, right? Well, now let’s dig into permanent life insurance where things start to get a little more complicated. This type of life insurance is, well, permanent. As the name implies, it is a type of life insurance that doesn’t expire. Permanent life insurance typically combines a death benefit with a savings vehicle, allowing it to build cash value. As for the cash value component, it can take many years to accumulate a significant amount. However, the cash value does enjoy favorable tax treatment since the growth of it is tax-deferred. This means that you pay no taxes on any earnings as long as the policy remains active. While the premiums for permanent life insurance are more expensive compared to that of term, most people who sign up for this policy are doing so for the tax savings opportunities or estate planning purposes. There are, in general, four different kinds of permanent life insurance policies. It is the purest form of permanent life insurance. With this type, the premium amount has a lock-in period and will remain the same throughout your entire lifetime. It is beneficial as long as it fits your budget. If you purchase this at a young age, the death benefit will remain the same regardless of your age or health. In cases where you have a pre-existing condition that requires you to buy high-risk life insurance, a graded whole life insurance policy will most likely be your only option – and these aren’t cheap. The whole life cash value serves as your source of equity. For you to access this cash value, you will request a withdrawal of funds or take a loan against it. There will be a charge of interest on the loan with varying rates per insurer. Compared to whole life insurance, universal life offers some more flexibility. You are allowed, with specific guidelines, to choose between how much of the premium will go towards life insurance and how much towards cash value. Other directly associated expenses for the plan to remain in force. The COI will vary by policy, based on your age, insurability, and death benefit. Cash Value Portion – this serves the same purpose as your savings account. Your cash value can earn interest based on the current market or minimum interest rate, whichever is greater. You can access part of the cash value without adjusting your guaranteed death benefit. Over time, as you age, the cost of insurance will increase, however, the amount of the accumulated cash value can cover the increase, if sufficient. Unlike whole life insurance, universal life has flexible premiums. With UL, you have the option of remitting the dividends over the cost of insurance. If there is enough cash value, you may even be able to pay the premiums with that money. This is another form of permanent life insurance that offers a death benefit and a cash value component. However, with this type, you can take part in a variety of different investment options. Your funds have the opportunity to grow more compared to the funds in a whole life policy. Take note though that there are additional risks like exposing your funds to the ups and downs of the market – along with the additional expenses of the funds. It is important to know that while your cash value can increase based on the movement of the market, you are not directly investing your cash in the market. Instead, you are investing in “sub-accounts” by the insurance company. In a variable life policy, the benefits and cash value may go up or down. However, it shouldn’t go below the set guaranteed amount, which is the original amount of the death benefit. It is similar to the universal life insurance, however, it has sub-accounts that allow you to invest the cash value. The functions of the sub-accounts are somewhat like a mutual fund. Like variable life though, exposure to market fluctuations can give you better returns but can also result in losses. The structure of each sub-account is like a family of mutual funds, each having an array of stock and bond options. Take note that some policies restrict the number of transfers into and out of the funds. So, if you have exceeded the number of transfers in a year or if your investments perform poorly, you may need to pay a higher premium to compensate for the cost of insurance. Note: As a consumer, you need to consider the risks that you’ll take if you go for the variable types since they are more of an investment. Weigh the pros and cons first or consult an agent to learn more. Knowing whether to go with term or whole life insurance can be a tough choice. However, once you see the cost difference, that might make your choice a little easier. However, that shouldn’t be the only factor in your decision. 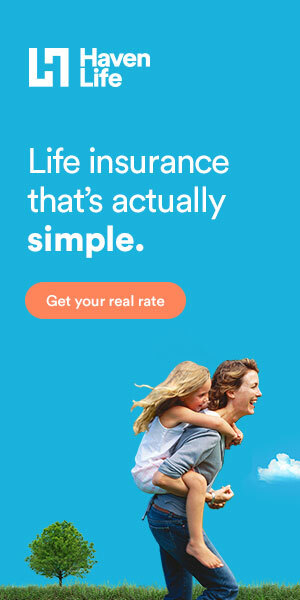 Let’s now move on to some to other types of life insurance. With this type, there is more than one person covered. However, before the insurance pays the death benefit, both of the insured must have passed away. That is why survivorship life insurance is also known as second-to-die life insurance. Since there are no death benefits paid if the first insured passes away, the survivor must continue to pay the premium to keep the policy in force. When the second-to-die insured passes away, benefits will be paid out to the named beneficiaries in the contract. This type of policy allows you to only pay one premium instead of two. This type of policy is more lenient than individual policies, so this can be useful to couples who wish to buy life insurance when one of them is uninsurable. Paying outstanding estate taxes from the death benefit that the beneficiary received. It is to help ensure that your assets won’t be liquidated to pay a tax bill. If you and your spouse have a child who may require a lifetime of special needs care, the survivorship life insurance can help provide the necessary money to help fund the third-party care that the child may require. If you are making donations, the survivorship life insurance can be your legacy to those causes you want to support. Final expense or burial insurance is the type of insurance that “senior citizens” purchase, usually between the ages of 50-85. However, there are some insurance companies that sell to applicants who are much older. It is designed to cover the expenses your loved ones will face after your death, including medical and burial expenses. Aside from these expenses, it can also have an impact on planning your last will. The cash payout can help your beneficiary with some of the financial costs left behind. Through this policy, your loved ones will have minimal worries, especially if you don’t have term or whole life insurance. If your term and permanent life insurance are proportionate to your earning power now and for the rest of your life, the final expense insurance will help with the expenses of your funeral. As the name implies, this type of life insurance will not require you to undergo a medical examination as part of the process. In most cases, when you are applying for an insurance policy, you must meet with a paramedical professional who will carefully examine you. That being said, if you have certain types of adverse health conditions, you may be denied for the life insurance. However, with this type of life insurance, you can be approved for the required coverage almost instantly. However, since there is no medical exam involved, expect your premiums to be slightly higher. Take note that you must be in decent health to qualify for these no-exam policies. During the application process, you will be given a series of health questionnaires to answer. Once you pass those, the insurance company will run a background check on your medical information, pharmacy and motor vehicle report. What Exactly is a Cash Value Life Insurance Policy? Cash value is what you can accumulate in certain types of permanent policies. If the cash value increases, it decreases the risks to the insurance company, as it offsets part of the insurer’s liability. The cash value component serves only as your living benefit. So, as a living benefit, you can use this cash value while you’re still alive. Most cash value arrangements allow for loans on a tax-free basis. In most cases though, there will be interest on the amount loaned. The balance or credit left will reduce the death benefit in the event of the death of the policyholder before the full repayment. Also, you can use the cash value to pay for your policy premiums. If there’s enough cash value, you can stop paying the premium altogether. However, this needs to be watched carefully by a professional. Life is short so do your best to enjoy it and make every moment count. Spend time with your loved ones, and cherish every memory because you’ll never know what life may bring you. With that being said, it may make sense for you to look at life insurance to help ease your mind and make you feel more secure. You don’t want to leave your family in a situation where they can’t maintain the same lifestyle when you’re no longer around. With all of the different types of life insurance policies to choose from, it’s your responsibility to make sure you take time to think and review what each type of policy has to offer. By learning more, you’ll find that there may be a policy that’s perfect for your budget, lifestyle and needs. It’s also best that you consider the terms and how you want your loved ones to benefit from them. From all of the different types of life insurance policies offered, you’ll just have to make that you feel is best suited for you family. When the time comes, leave them with a happy heart knowing that at your final moments, you are still able to let them feel your love.